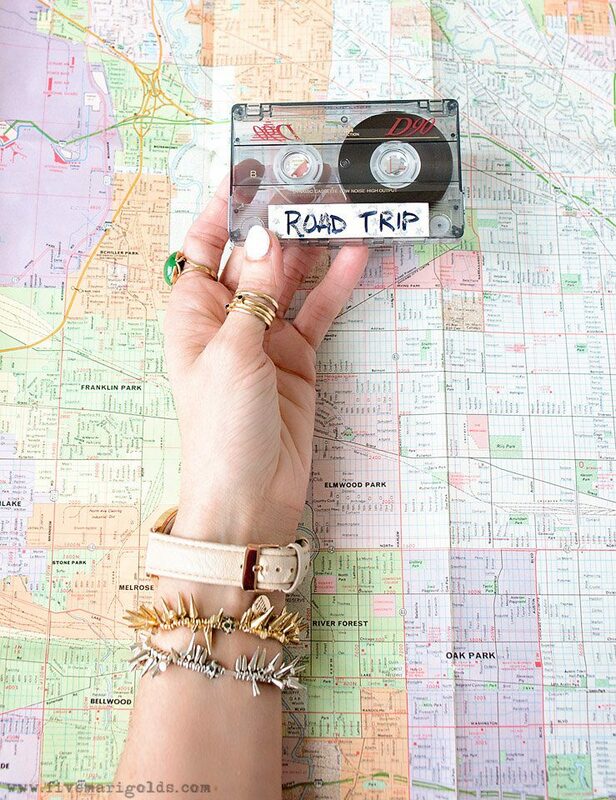 The first step for road tripping is obvious, but you need to prep for any trip. Beyond your luggage essentials, you need to pack a to-go kit for your car to cover all your road tripping needs. I like to pack little fun “prizes” to surprise the kids at various intervals throughout the journey. We’re not talking about going out and purchasing pricey toys here – they can be items your kids already own, but that would be especially fun for travel. 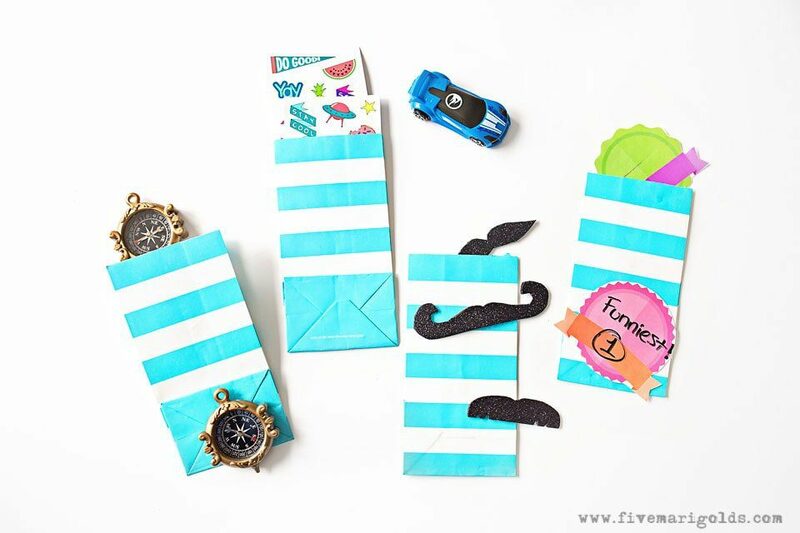 The trick is to put each goodie in a fun bag that feels like opening a little gift. I like to pack treats they don’t often get – like suckers – and activities like stickers and games. 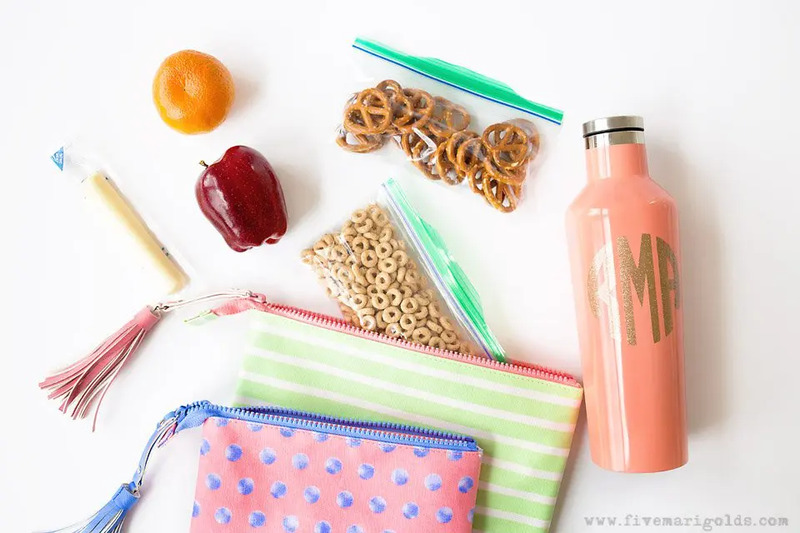 Of course, we also pack healthy snacks that are available to them at any time. I love how the prize bags let me control their intake of sugar for when they really need it most (like the inevitable fight or meltdown). There’s one more very important prep step before a long road trip – a stop at my local Firestone Complete Auto Care for any needed maintenance. They back all of their work with a Triple Promise that guarantees your experience will be Fixed Right, Priced Right, and Right on Time. I like to have fun creating activities out of these prizes that we’ll get a lot of mileage out of. For instance, I used some black self-stick craft foam to create silly mustaches. We like to challenge each other to see who can wear theirs the longest. They love seeing who will be brave it enough to wear it in public at the next pit stop or lunch break! Another great idea that lasts the whole road trip is making badges they can give to each other through the trip. 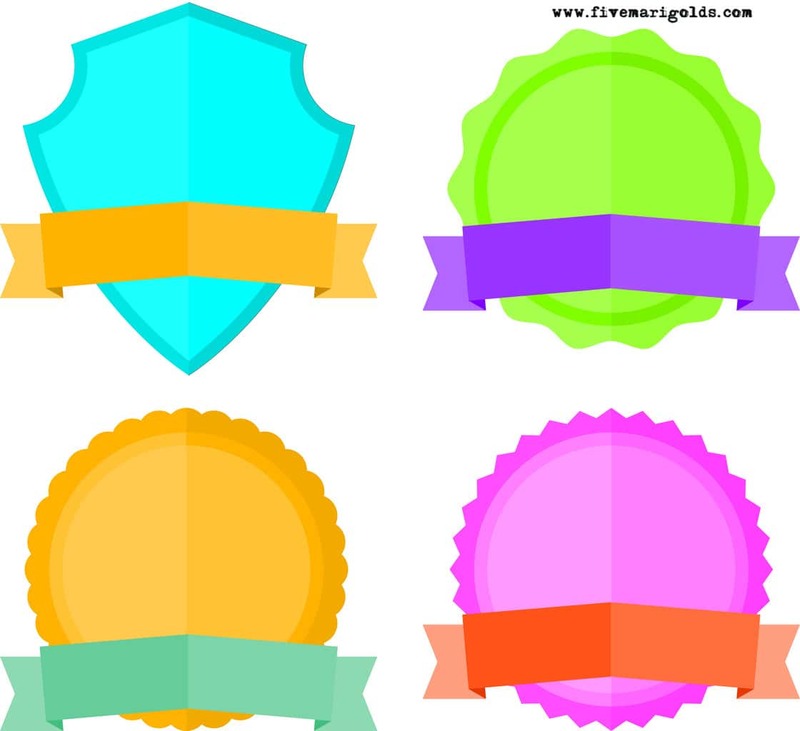 Just print these badges, laminate them (or use mailing tape like I did!) and pack a dry erase marker or gel crayons. 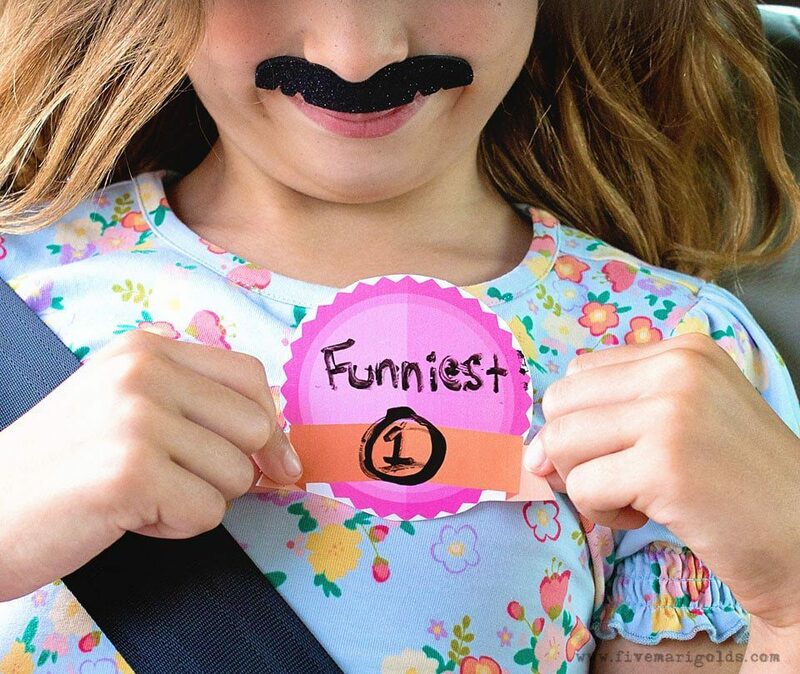 We have so much fun thinking of awards to give each other, like the funniest, stinkiest, and my personal favorite – the quietest. 🙂 They like to get really silly with this, but I love that this fun activity helps them to self-regulate and stay on their best behavior. Even if they are the stinkiest. I also love the idea of packing stickers that they can trade with each other. 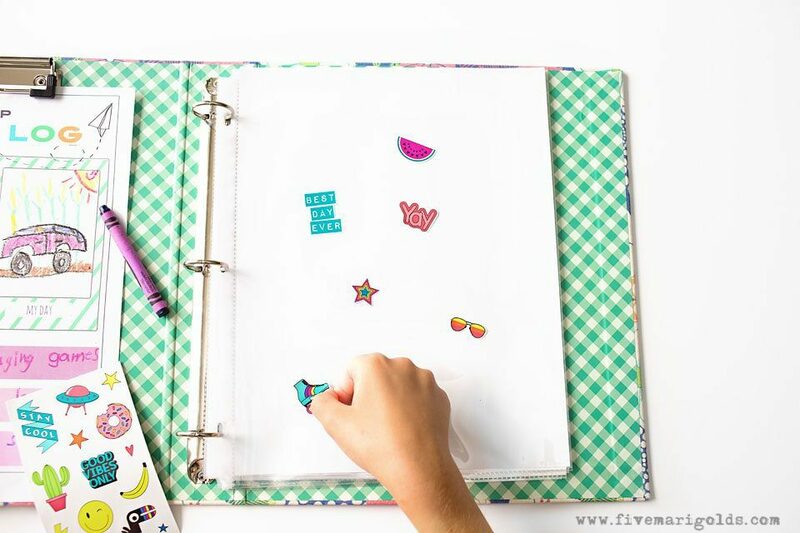 I loved sticker books as a kid, so I like the idea of packing a binder filled with standard page protectors that they can put their stickers on. The page protectors are also great for drawing on using dry erase markers or gel crayons. My kids especially love using gel colors because there is a bigger color payoff, but it’s still wipeable. Finally, be sure to have some great tunes or podcasts ready that the whole family can agree on. Nothing puts us in a good mood better than our favorite music! 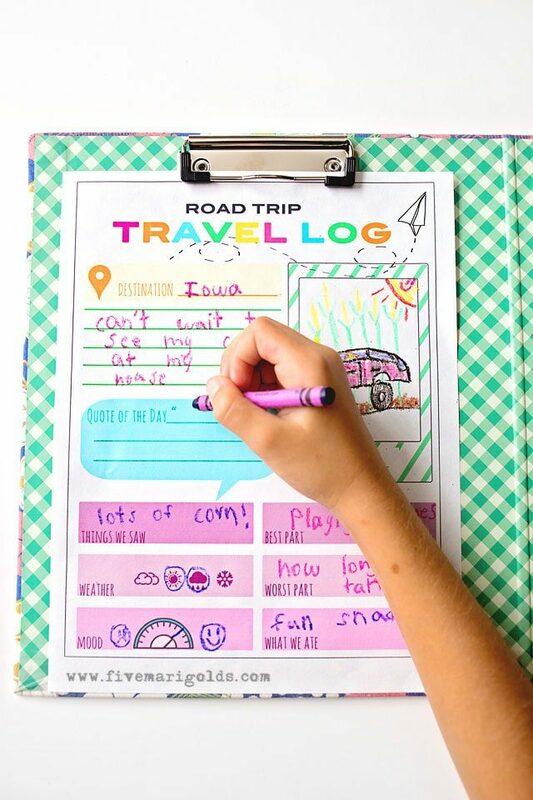 A favorite new way for the kids to spend time on a long car ride is with our Road Trip Travel Log. Whether it’s a one day trips or a multi-day journey, they can print out as many pages as they need to log the days. They can document everything from the weather and sights, to the best and worst parts of the trip. 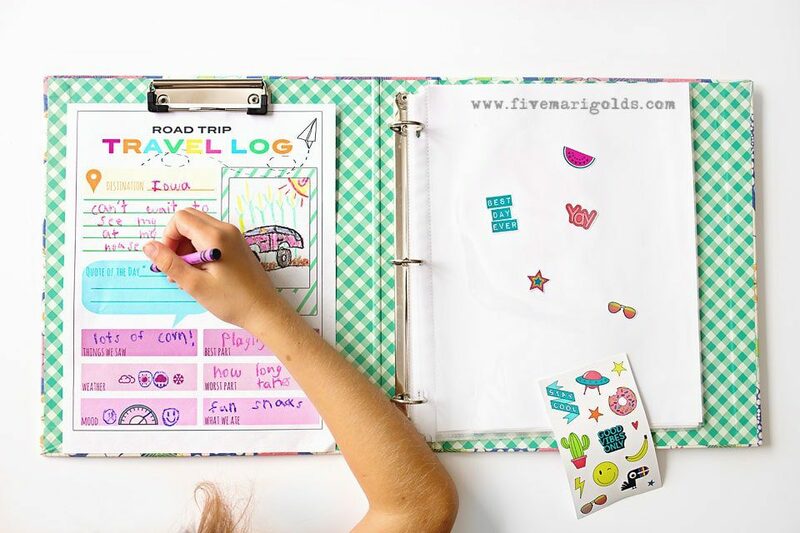 This is not only a fun way to document a trip, but a great memory to tuck into the photo album or journal. Finally, it’s important to make frequent stops along the way. 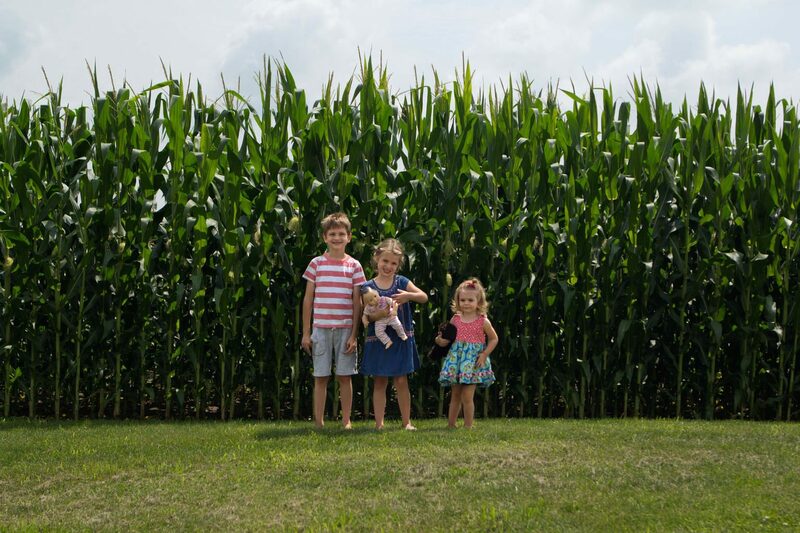 The truth is, I am all about the destination and not the trip when it comes to road travel, but I try really hard to keep it easy and fun for the kids. Road Trip Tip: Make Plenty of Stops! When we build in plenty of time for stops, it helps easy the stress on our bodies and our moods, and we’re all better for it. 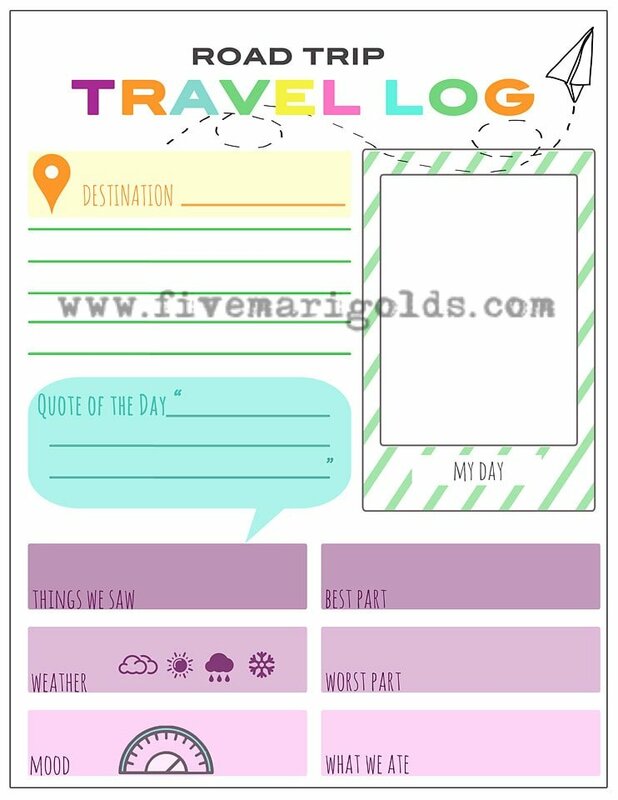 If you’re planning any summer travel, I encourage you to download my free printable kid-friendly travel journal. Then, be sure to take advantage of the great Firestone Auto Care to get your car ready for your next road trip! What do you think of my road trip trick for moms? What are your go-to travel tricks? Tell me about them in the comments below! Love all your mom tricks! For me, music is the most important – wait – snacks are also very important haha. How cute is the travel log. I also love the mustache idea. So fun. And yes, music can put you in a great mood. Packing fun prizes and surprises for the kids is an awesome idea. I think I’d do that on our next roadtrip too! Loved all your tricks! 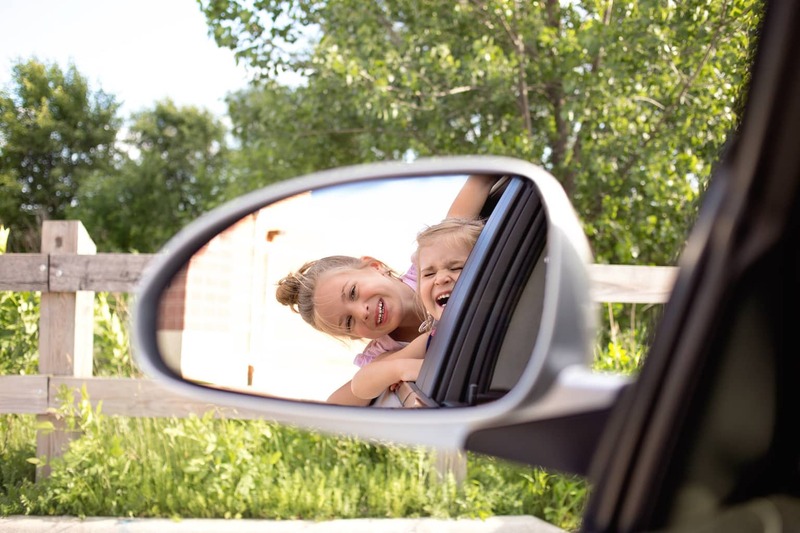 Such great tips for road trips with kids!